No arguments today ... just a few words of support and concern for the victims of the earthquake, tsunami and nuclear reactor explosion in Northern Japan, and for everyone around the world affected by the disaster. The rest of us are out here watching, wishing for a way to help. This article is part of the series Philosophy Weekend. The next post in the series is Philosophy Weekend: The Puzzle of David Foster Wallace. The previous post in the series is Philosophy Weekend: The Cage Match Between Ayn Rand and Carl Jung. 4 Responses to "Philosophy Weekend: Grounding"
I'm praying that Japan will avoid further damage. My heart goes out to them. 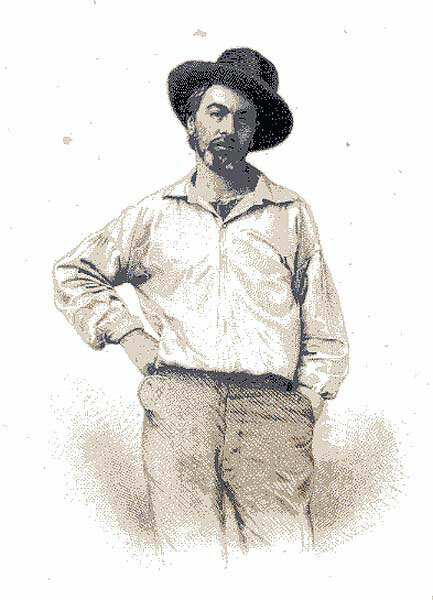 I thought that is a great picture of you and for some reason reminded me of this picture of Walt Whitman. yeah Levi, get a walt whitman hat !